The content of this text is written by student and solely reflect the views of the author. It doesn’t represent the view of European Commission. Circular economy is a hot topic because linear economy is no longer the solution for sustainable development. In circular economy, the textile industry certainly plays an important role. Finland has paid much more attention to this area, proved by a whole ecosystem called Telaketju. In this modern day and age, Information and Communication Technology (ICT) and its application has made its way to every small corner of life, of course with no exception to Circular Economy generally and Telaketju specifically. For Telaketju, we believe ICT is and should be an important part of that system. Especially open data, as a part of ICT, has not yet been explored in great depth in circular economy of textiles. Actually, the whole system of collecting data and opening it is just starting in circular economy. On the other hand, this makes circular economy full of potential. Many of the processes can be designed so that open data and ICT aspects can be incorporated into circular economy from the very beginning. In the Open DaaS (Open Data as a Service) project we do exactly this – the universities together with companies are creating new models for open data and ICT utilization which can benefit businesses also in the circular economy of textiles as in Telaketju. The role of both ICT and open data in textile recycling was explored in an Open DaaS –hackathon last autumn in Turku. We will point out three different perspectives to this topic based on the hackathon experience. Firstly, it is necessary to get a website acting as an online recycling center point. The website would solve the problem of companies selling end-of-life textiles (let’s call them Supplier) and companies buying these material (let’s call them Consumer). In Finland, some Supplier names are Remeo, Tramel. They collect end-of-life textiles and make them become raw material. Some Consumer names are Punainen Norsu, TouchPoint. They produce clothes from the abovementioned material. However currently there are some problems with the interacting process between Supplier and Consumer: the order process takes a long time because no information about available stock is displayed, the work is manual, the transportation takes long time. A web solution would solve most of these problems. It would act as a bridge to connect the Supplier and the Consumer. By visiting the website, the Supplier would get the detailed information about each supplying point, for example: what kind of textiles they have, how much they have, how long it will take to transport the material from one point to another. The Consumer could also make an order easily through the website. Secondly, a system that evaluates the quality and quantity of the incoming textiles could have a significant impact on the industry. An image recognition systems or any similar algorithm would help. An employee could scan a seemingly good part of the material, and the machine scans the rest of the surface for notable textile mistakes, changes in colour or interrupted patterns. Therefore a quality level could be stated as an outcome, making it much easier for separating the textiles into different quaility categories. In addition to that, a scale could help to determine the thickness of the material and their approximate sizes. Afterwards all this data can be added to the abovementioned website. Last but not least, blockchain technology can be applied to Telaketju. Speaking of blockchain, most people will immediately relate to bitcoin. However, bitcoin is not the only application of blockchain and the opportunities with blockchain are endless. In the supplying chain of textile, blockchain would help a lot with traceability. Blockchain will help us find out where a product comes from and follows its route throughout the entire transformation and distribution chain. 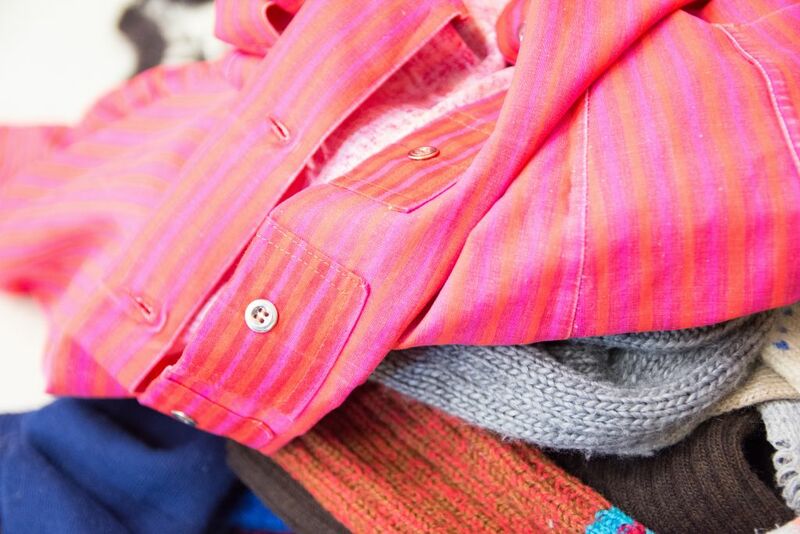 Therefore, it would be much easier for the recycling or reuse of the textiles. Moreover, the data provided by blockchain is real-time, thus making it always up-to-date. In a nutshell, circular economy and textile recycling industry will benefit a lot from the vast growth of ICT. Both ICT in general as well as open data provide numerous solutions that make the textile loop a lot easier and more efficient. We believe with the serious work that people in Telaketju are already doing, plus the help of ICT, Telaketju will soon become a key model in circular economy, not only in Finland but also worldwide.